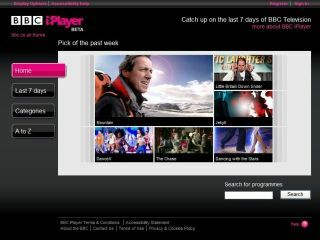 The BBC has revealed a bevy of statistics surrounding iPlayer use in 2009, some of which make for interesting reading. Throughout 2009 the BBC found that if you watched the online service on a Mac or a PS3 you were more inclined to watch comedy programmes, and if you watched the iPlayer on a PC or on the Virgin Media platform it meant that you liked drama better. Not that we are ones to stereotype, but from this information we have deduced that Mac users are cool and PC users are, well, more plentiful. Thankfully the whole comedy/drama revelation wasn't the only thing the Beeb found. It also noted that November saw a startling 88.2 million programme requests for the iPlayer and Top Gear was the most popular programme, with one episode garnering 1.7 million views. "These figures show people are making the most of the choice they now have," said Erik Huggers, the BBC's Director of Future Media and Technology, pointing out the blindingly obvious. "Whether it's watching EastEnders on your PC during your lunch break, listening to Desert Island Discs on the bus or watching Mock The Week in bed, viewing patterns change depending on the time and location of the audience," Huggers also noted, name-dropping the myriad programmes on offer in the process. It will be interesting to see how much these numbers change when Project Canvas takes a proper foothold in the market in 2010.